That could be interesting to explore. MOOCs inside a firewall is like those typical institution LMS. You could “force” lots of discussion and debates by incorporating assessment which are based on the posting of comments, number of research papers quoted, the “likes” and voting one gets from others, and the quantity and quality of responses by each students (traced through LA). If these form part or whole of the assessments, then there could be tens and hundred thousands of posts and responses. Whether the professors and TAs would be able to cope with such huge number of posts and comments are another matter. Such challenge may be overcome with the 1-9-90 rule based on the votes, so the post and comments having highest votes would be elected to be given attention, or debated upon. This has been reported in many of the xMOOCs posts and you could Google to explore them. Is this also applicable to cMOOCs? May be. You would need lots of TAs and knowledgeable others who have expertise in studying the LA, and report on the patterns of interaction. Relating to the course nature of MOOCS, you might find that some of the MOOCs are of an advanced nature, more likely suitable for sophomore undergraduates or graduate students pursuing a Master or PhD. It is no wonder that these MOOCs have a low completion rate, as they require a strong background knowledge in a number of fields, including Statistics and Mathematical tools. Refer to this post http://moocmoocher.wordpress.com/2012/12/21/networked-life-social-network-analysis-a-new-appreciation-for-feedback/ It is likely that these few million students in MOOC or centralized LMS would likely behave in a hub and spokes with 10 or less in the population and 80 or 90% + falling outside the core of the MOOCs. These are typically similar to most MOOCs we have studied in the past. 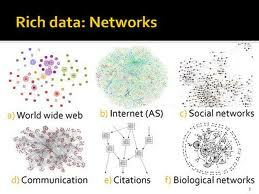 You could even analyse those patterns of study or learning using highly sophisticated mathematical modelling – as theoretical construct to explain those behavioral patterns – on interactions, connections and the emergence, though this requires also careful and sophisticated SNA and interpretation. There may be some PhD or Postdoc studies working on this, as many PhD candidates and TAs are using XMOOC to carry out LA( Learning Analytics) and relevant theorization to support their PhDs. I learnt this through the study of those xMOOCs blog comments, but I have not seen one such research paper released. See this post http://etcjournal.com/2013/01/14/the-mooc-an-incubator-for-great-ideas-a-personal-experience/ It is typical to have 10% or less MOOC participants active in the course. It is relatively difficult to precisely determine the exact percentage of very active, active, not so active, and no participation, but likely 1-9-90 is what happened in most MOOCs, unless you close the MOOCs and force everyone to be onboard, and count their interaction and assessment as part or full for completion requirements. It could be risky to coerce participation, though not impossible to develop a course like that. In fact there has been reports of course with blogs participation where everyone’s postings and commenting is part of the assessment for the course unit. Treating MOOCs as experiments surely is interesting, as these lessen the accountability and responsibilities of “failures” by students (especially when they are not paying any fees to the institutions or providers) and there aren’t substantial duty of care required, mainly because drop-out is ethically acceptable, and there is no loss in finance to the providers or institutions. Would this be a critical difference between MOOCs and the formal open online courses offered in formal institutions? Are open online courses substitution for classroom learning? Open online education – can it replace face-to-face classroom education and learning, in HE? Efforts such as the Harvard/MIT edX project are wonderful developments, but massively open online courses are not substitutes for the learning that takes place in traditional courses (whether delivered as face-to-face, online, or in a blended method). Authentic learning requires a two-way dialogue between student and instructor. College teaching at its best is much more than the delivery of content: It’s about the co-construction of knowledge with students and faculty. If you believe that one of the most important attributes of post-secondary education is the development of relationships between faculty and students, experts and learners, then the advent of massively open online courses does not represent a substitute for the traditional course. Are massively open online courses substitutes for the learning that takes place in traditional courses? Yes, and no. No, there are certain sort of learning that are still only possible in traditional courses, such as face-to-face interaction, with immediate questions and answers, and feedback with the instructors or fellow students. This depends on the type of interaction and engagement that both the instructors and students want, and need in the course, based on the course content and context. There are however, not that much difference in terms of assessment, if there are assignments, tests, examinations held to check the achievement of outcomes or demonstration of performance. Yes. Authentic learning requires a two-way dialogue between student and instructor. But, is that enough? Our researches from past MOOCs (connectivist MOOCs in particular) reveal the importance of social, teaching and cognitive presence for the meaningful learning. So, the mere dialogue between student and instructor, whether it is traditional or online education does not always provide or guarantee the “authentic learning”. Rather it is the “multi-dialogue” among student and instructor(s) and other students, especially in the case of MOOC that would contribute to a deep, meaningful, and valued educational and learning experience. Traditional forms of education might be considered preferable, but really, wake up – traditional education is irrelevant if you cannot enrol in the first place, due to monetary, geological or other restrictions. MOOCs are not discriminatory in these respects. The reality is, online learning really is teaching bigger numbers of people, at a faster rate and a lower cost. It is also cutting away some of the unnecessary ‘fat’ that comes with traditional learning. MOOCs as viewed from an educator’s perspective could be different from learners’ perspectives, though there are lots of commonalities too, such as concerns on design, delivery and assessment. Here are some student responses on some proto-type courses on MITx. There are many discussion forums relating to the merits and limitations of e or online learning, as a substitute to classroom learning. 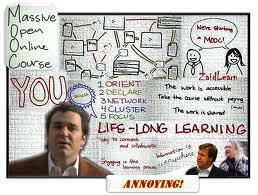 I think there are both pros and cons with each type of learning – traditional and online learning (and the MOOCs). Even with the MOOCs , there are different approaches (i.e. instructivist MOOCs, connectivist MOOCs). It is never easy to compare and contrast between the two, though there has been many attempts in critically examining the pedagogy (of connectivist MOOCs), in conducting researches, and the experiences and backing here on the super MOOCs. What MOOCs could offer is the Community that would be “sustainable” even after the completion of the course as I shared here. The importance of discourse in MOOC is not about what is right or wrong about MOOCs, but what values MOOCs could bring to the world of education, and how the ideologies could be identified and understood, and be evaluated accordingly. Disclosure: As an educator, I am commenting on MOOCs both from a learner and an educator point of views. I will leave it to you to continue your exploration and sharing of opinions on this. Dr. Paul Howard Jones shared his views and findings in the video. Is Google rewiring our brains? Is it true that the more time we spend on internet, the less time we spend in real life socialising? Is the internet bad for us? – we understand dangers and precautions. So, it is the affordance of technology that makes the difference, based on what and how technology is used in situations. Would the use of internet lead people to do more or less physical exercise? Research findings on this were divided – with some indicating that people exercised more whilst others indicating that people exercised less with the use of internet. Are games (and internet games in particular) good teachers? In Paul’s views games could be good teacher. What are people doing on internet? This is an interesting finding. I think it depends on what sort of games people are involved in. There are World of Warcraft, educational games etc. In the virtual World such as SecondLife, there are lots of people immersed in it, for socialising, communicating and sharing, education, or dating etc. There are huge potential of the use SecondLife in Medical and Health Education, SecondLife in distance education. Another reason why games could simulate learning is based on the premises that : We love uncertain rewards. This is especially true for those of us who like to overcome the obstacles, and to achieve certain outcomes, like advancement of achievement levels and engagement and interaction with others to accomplish team, network, or community (or COPs) goals – that’s the reward that most of us like. These may relate to the use of gamification to engage people (students in particular), so they would interact with the games, people and those involved in the system. What else have you found, with internet and games in particular, on our brain? How about the impact of internet on teaching and learning? Your views…. Interesting and reflective thoughts by Ken. I used to think teaching and learning being two sides of the same coin (the Yin and Yang), with media and technology (or the coin as the tool) being periphery joining them together. Yes in a socially-constructed Learning environment, most if not all are didactic in nature. The conversation, engagement, interaction, which may be part of the cooperation and collaboration embedded in a convoluted way (or rhizomatic manner, if we like to describe it organically). If we are to describe learning and Learning in a way that may co-exist, then learning as a natural growth of networks in our brain, and that of the growth of the forests, plants, trees, grass etc. are natural parts of the ecology. On the other hand, the development of social media, Information and Communication Technology (ICT), road and transport system, buildings, logistics systems, organizations, education systems, groups and networks of people are all artificial parts of the ecology. So, you need both in order to develop the whole ecology, and what learning and Learning is situated might be viewed from a “microscopic” or “macroscopic” lens of learning, and interpreted accordingly. I have also conceived that learning (individually) could be the most satisfying for human (as individuals), as that could be revealed from the reports of gurus, thinkers, philosophers, and scientists etc. Learning could however be the corner-stone for nurturing learning, and may lead to group collaborative performance and thus the basis of civilization and socialization and enculturation. Without self-motivation and direction in both learning and Learning, I reckon human’s creativity would be stalled, leading to stagnation in human progress. So, I agree that learning happens elsewhere, especially if Learning is still under the thumb of teaching only. Is self-directed learning significant in learning and Learning? What and how would education be developed given that human are all natural learners? We also need disruptive discovery http://videolectures.net/challengefuture_illy_crisis/ to overcome the crisis and to develop a better future. 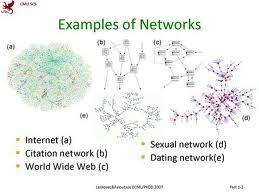 How about power of networks? 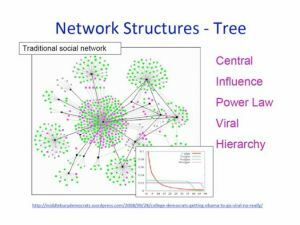 How would social networks influence self-directed learning? Amazing power of networks, well illustrated with animated graphics. Earlyz expands his concepts on networks in teaching and learning. He says that: “When students discover those networked connections, they begin to see the real world value in what they learn at school. In other words, authentic learning happens in the network.” I think networked connections need to go beyond what they learn at school, in order to fully understand how such connections relate to the community, networks, and the ecology. Here, here, plenk2010-plenk-network-metaphor, and here. A New Paradigm of Knowledge? Digitalization and virtual network technologies change not only the way we communicate, get informed and entertain ourselves – they also have modified the conditions under which this is done as well as the standards that are applied to these processes….. Instead of stability, objectivity and institutional authority in the digital sphere timeliness, situational availability and the readiness for active participation do count. One can assume that in the course of this process the social understanding of and approach to knowledge have started to change. – Scientists will have to accept that doing e-science is not possible without changing traditional scientific roles and concepts. This research reveals the importance of participation and collaboration among not only the researchers and academics, but the embracing of a participative and collaborative culture which extends to general public and citizens of interests. The wikipedia and Citizen projects were just some of the examples of pioneer work illustrating the importance of keeping knowledge updated with a wider authorship, with its content being “editable, though controllable or manageable”. This requires a paradigm shift of “Community Building” and “information sharing” when creating new and emergent knowledge. What are some of the underlying principles involved in this sort of paradigm shift? I think the principles could be explained through Paragogy, Peeragogy, Netagogy, where I argued in my previous post, and the learning theory strongly supported through Connectivism here, here and here. I have also proposed that these acts of “creating knowledge” could be based on Creatagogy. This requires a connective creativity with collective wisdom (Wisdom of the Crowd) and individual creativity and creative learning capacity connected to networks with technology affordance. I conceive new and emerging knowledge would be created through such “Global Community and Networks” which would be based on an environment, education and learning ecology with a network of learning platforms such as MOOCs (Massive Open Online Courses), MOOCs (Massive Open Online Communities) and MOOP (Massive Open Online Projects) over different spaces, network chains. I have discussed some of the essential features in my previous post. This would hopefully lead to the creation of a symbiosis between the educational social community and the more open collaboration on online networks. I am excited to learn that Stephen is offering course on Open Content Licensing for Educators. In summary, what is important is the sharing of knowledge and information, creations by educators and learners, and educational resources through open content licensing. Here is another relevant video highlighting the importance of Creative Commons Licence and open educational resources, and the sharing and learning among educators and learners, based on the conversation and discourse over the networks and communities.